My Nan didn't feel like cooking one rare evening and insisted she take my father and myself out for dinner. Having not planned this in advance, we didn't know where to go when my dad suggested Harpo's. Harpo's has 2 levels, the main floor has booths and large tables for groups. The lower level is at the front with all of the large windows. It's nice and bright! Since Nan wasn't a fan of stairs we opted for a booth on the main floor. Our server warned us that 2 large groups were coming in shortly, but that was alright. The booths were HUGE and very cozy. It was like sitting on a high-backed couch. We could not see other customers in the booths beside us. It made it private and acted as a sound barrier. The décor was very elegant. I definitely felt under-dressed. It was supposed to be a casual meal dangit! Our server had her hands full. We arrived shortly before the 2 large groups, but the service didn't lapse; our orders were there in a timely fashion. Harpo's has a fabulous $30 Feature Menu. Most of their dishes range from $20-$30, so why not? 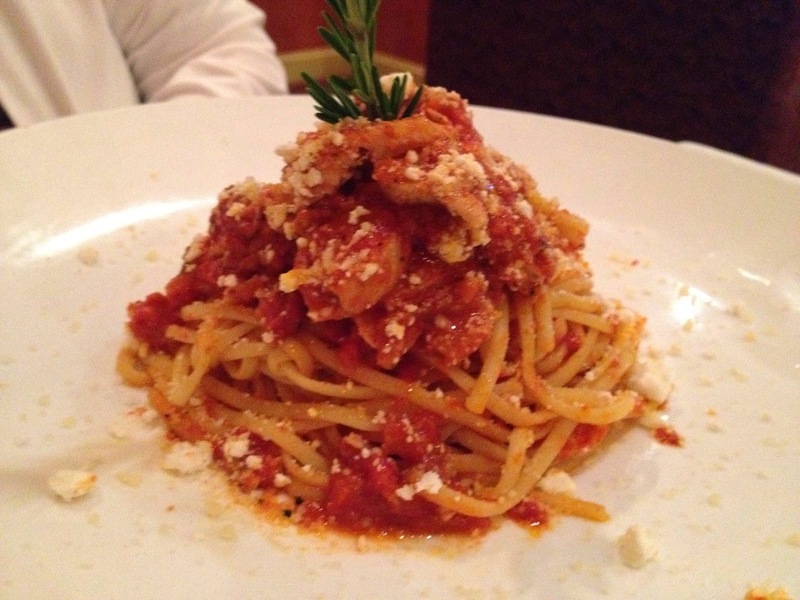 It includes an appetizer, main and dessert. My dad and I opted for the Feature Menu. We started off with Bruschetta and the Daily Soup, Onion and Parmesan. My dad loved the soup. It was like French Onion without the bread and cheese; a nice, light app! 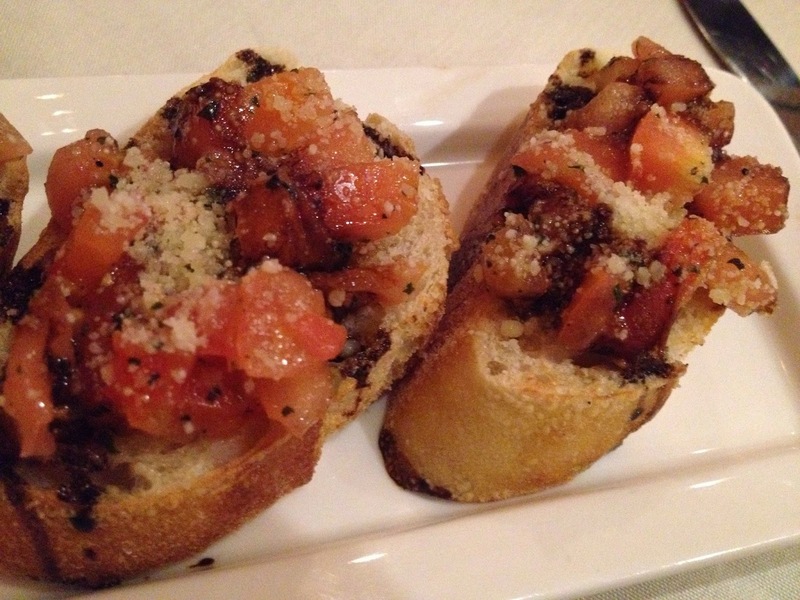 The bruschetta was on crisp French loaf and topped with the classic diced tomatoes, basil and parmesan cheese combo. Yum! There's always room for dessert. We went with the Cherry Cheesecake and the Strawberries Romanoff. 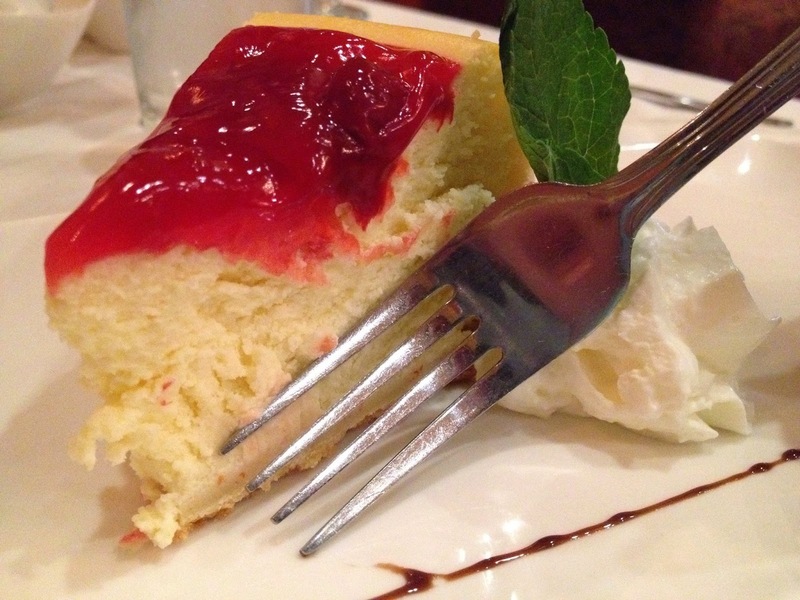 The cheesecake was light and the cherries were tart; a great finish to a savoury meal. I want to make Strawberries Romanoff at home. It was delightful. Then again, eating anything out of a martini glass instantly makes it fun. 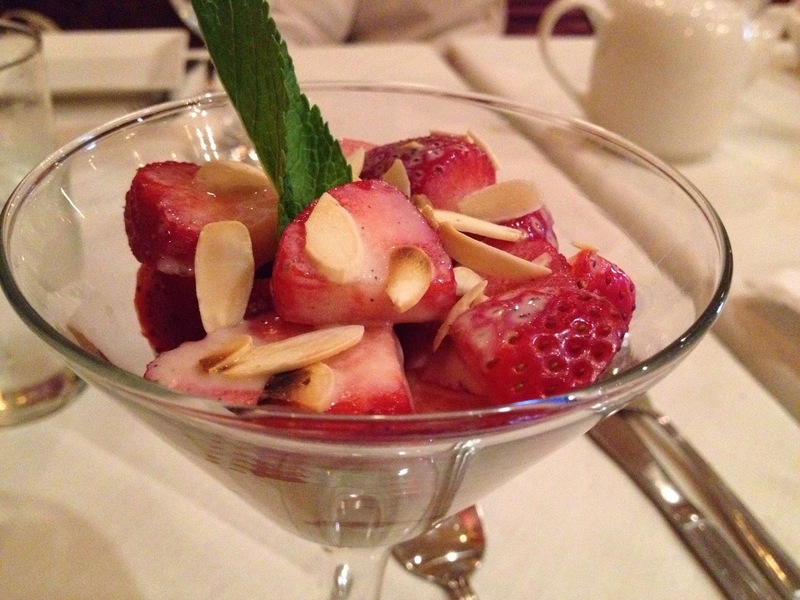 Strawberries, melted ice cream, cinnamon and toasted almonds in a martini glass = win. I understand why there were so many large groups there! 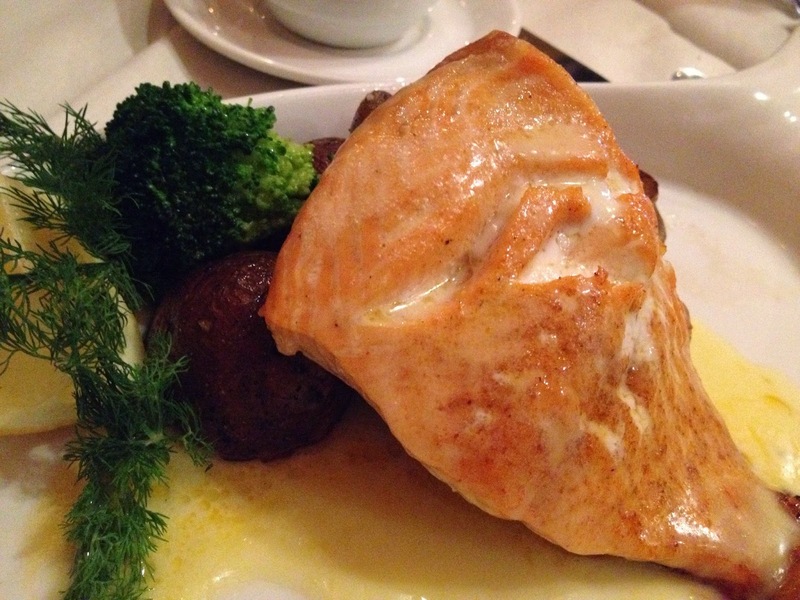 It's a great place with good service and a good atmosphere. I'd go there for my next special occasion!